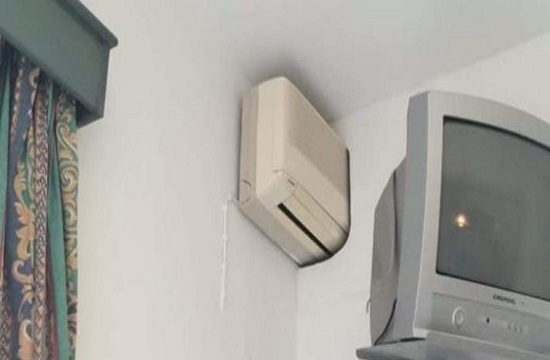 A photograph shot in a Greek hotel in Rethymno, Crete, has gone viral after the hotel owner invented a way to save on electricity for air conditioning. He drilled a hole in the wall between two rooms and allowed one air conditioner to be used between them. According to the Facebook user who first posted the photo, the hotel owner explained that times were tough and this was his way to keep costs down in order to continue to offer cheap room rates. The only problem with this system is that guests in both rooms would need to agree on the appropriate room temperature. No sooner did the photo go viral, that some social media users said that it was too odd to be true.